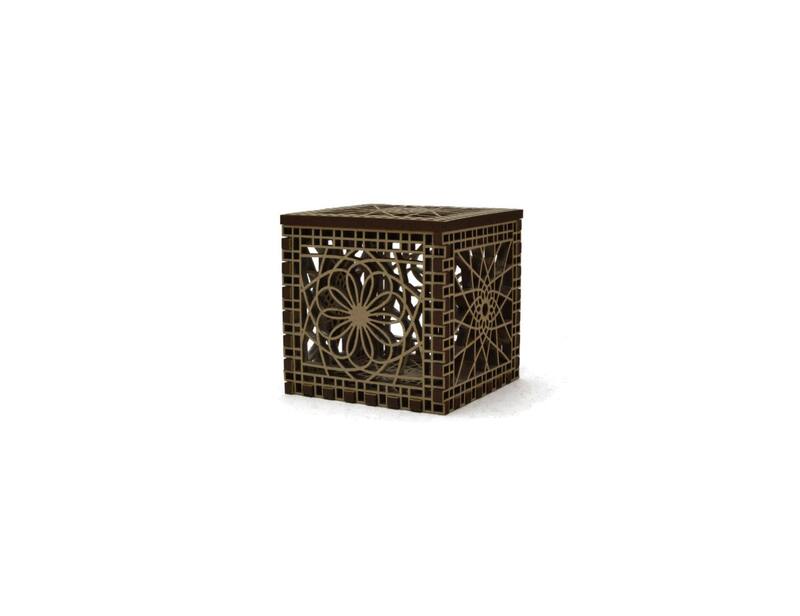 This mini cube with lid measures approximately 1 and 7/8 inches (4.8 cm) per side. Even with it's small size it has very intricate mesmerizing patterns. 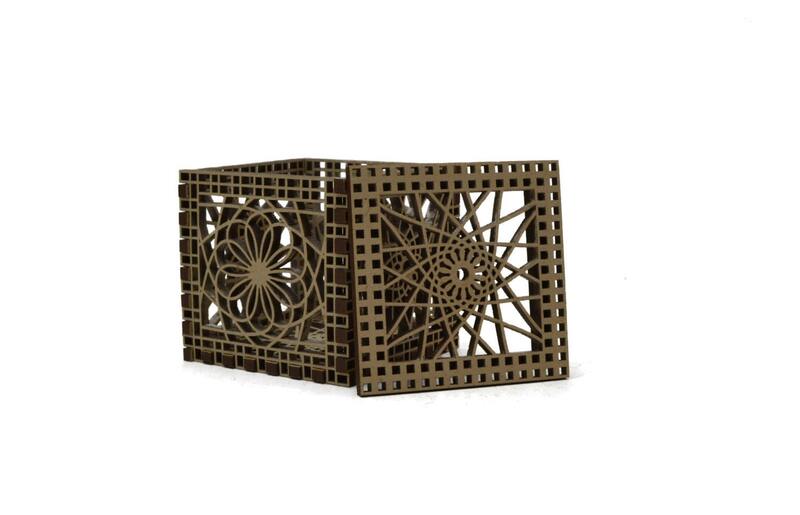 It's lacy design pushes the limits of what laser cutting can do but this is a surprisingly sturdy box. Made from 1/8 inch mdf (medium density fiber board). 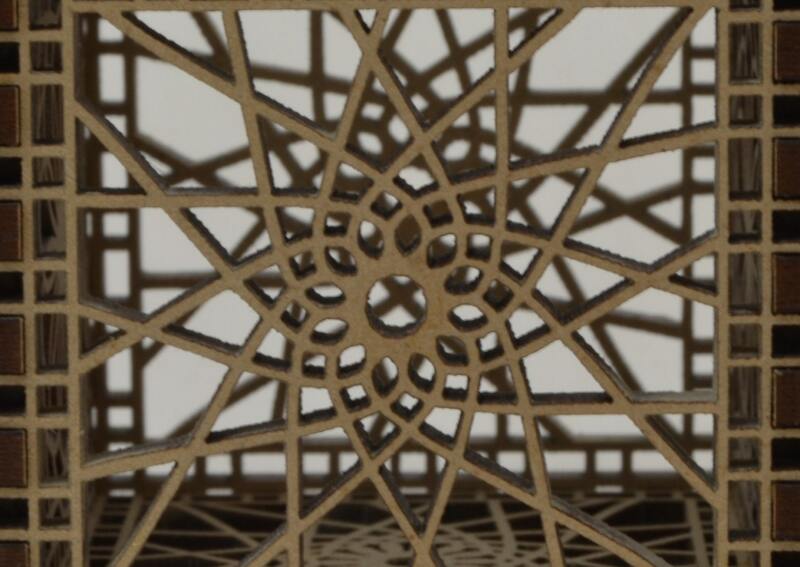 Mdf is made from recycled saw dust and can hold amazing laser cut patterns. This little box is the perfect container for potpourri. Comes in a card stock gift box. "My Goodness what an "Intricately Beautiful" little Decorative Box!" So-o-o wonderfully delicate & yet so-o-o strong! Fascinated with not only your amazing design sense and quality craftsmanship but also of your outstanding & generous customer service! "Thanks so very ... VERY MUCH!